Formal approval has been given for the country's first technological university. The new university will comprise of a merger between the Dublin Institute of Technology (DIT), and the Tallaght and Blanchardstown institutes of technology. It is expected to be created by January of next year. The institutes' existing campuses, including those at Tallaght and Blanchardstown, will remain. 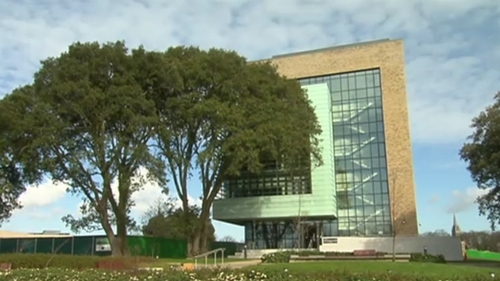 The three Dublin ITs had submitted a joint application for technological university status. Three other groups of ITs, in Munster, the southeast and Connacht-Ulster have also applied, but the Dublin consortium is the first to have its bid approved by an international panel. The criteria governing technological universities was laid down in legislation that was put in place earlier this year. The merging of existing Institutes of Technology was a requirement. The new universities must also have "particular regard to the needs of the region" they are based in, according to the legislation. As their status as "technological" universities suggests, they must maintain their current industry-focused approach, combining research and third-level "excellence" with programmes "that reflect the needs of individuals, enterprise, the professions" as well as "local interests and other stakeholders in the region". The news will be welcomed by the Institutes of Technology. However, senior figures in the existing university sector have privately questioned the wisdom of creating more universities in the country. Some have expressed concern that the move may damage the international reputation of Irish universities.